Issued: 10 pm 23 Apr 2019 (local time). The snow forecast for Sun Peaks is: Light rain (total 4.0mm), mostly falling on Tue night. Freeze-thaw conditions (max 6°C on Thu afternoon, min -2°C on Wed morning). Wind will be generally light. Sun Peaks Weather (Next 3 days): The snow forecast for Sun Peaks is: Light rain (total 4.0mm), mostly falling on Tue night. Freeze-thaw conditions (max 6°C on Thu afternoon, min -2°C on Wed morning). Wind will be generally light. Sun Peaks Weather (Days 4-6): A dusting of new snow. Freeze-thaw conditions (max 3°C on Mon afternoon, min -5°C on Sun morning). Winds decreasing (fresh winds from the NW on Fri night, calm by Sun afternoon). A dusting of new snow. Freeze-thaw conditions (max 3°C on Mon afternoon, min -5°C on Sun morning). Winds decreasing (fresh winds from the NW on Fri night, calm by Sun afternoon). Light rain (total 4.0mm), mostly falling on Tue night. Freeze-thaw conditions (max 6°C on Thu afternoon, min -2°C on Wed morning). Wind will be generally light. The above table gives the weather forecast for Sun Peaks at the specific elevation of 1640 m. Our sophisticated weather models allow us to provide snow forecasts for the top, middle and bottom ski stations of Sun Peaks. To access the weather forecasts for the other elevations, use the tab navigation above the table. For a wider view of the weather, check out the Weather Map of Canada. in or near Sun Peaks? Our children learnt to ski here aged 3 and 5 and are now 14 and 16. We have come here most years so I feel confident that I know the resort well enough to leave a review! Sun Peaks has been our little secret gem as it's little known in the UK. The long travel time to get there from Europe is most definitely worth it. Travel is via Calgary or Vancouver and then a small plane flight to Kamloops and a shuttle bus (about 13 hours in total from London). So what makes it worth it? 1. The weather conditions: with temperature rarely getting above freezing by day you don't get the morning ice/afternoon slush of many resorts. It's colder and drier than the coast so sleet is not a problem. Even if it hasn't snowed for a few days there is always a good covering. This year 2018 exceptionally so. Last year was the only year we experienced anything like European snow conditions and even then nothing in comparison. 2. Hardly any line-ups and certainly no European pushing and shoving in the queue. In fact, everyone is so polite and merging lines work really well. 3. 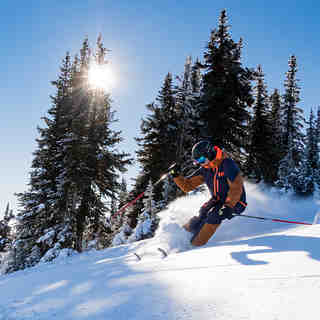 Huge runs, especially width and in some cases length (Green 5 Mile run) on most days except perhaps President Week, you can be skiing totally on your own! The runs range from beginners to experienced skiers. We now all ski most runs except the double diamonds and there's plenty to keep us happy for a week. 4. Lovely village with great choice of restaurants. Latest addition a Poutine shop - chips, gravy, cheese curds! Yum. 5. Friendly locals. We have stayed in pretty much all the different types of accommodation available. We started in a house in the forest area year one but quickly realised it was worth paying more to ski-in, ski-out. Since then we have stayed at the Cahilty and Sundance Lodge and family, with bigger budgets than ours, have stayed at the Delta/Grand. All clean and what you need with ski lockers provided. If you are adults only and have a good budget the 5th floor (9 adults preferred) at the Grand comes highly recommended. We love Sun Peaks. Please don't all come as we love the fact it isn't a second Whistler! For kids learning to ski the ski nursery/lesson facilities are amazing. Being European I thought 3 years old was too young for my child to learn, but no. In Canada, children are on skis from when they can walk, literally! My son, at three, had a one lesson factored in to his care at the Nursery and he coped. He is now a great skier. If you're in your teens/20's you will find Sun Peaks too quiet as there is not much night life, except for restaurants and a pub. However, for families and older adults it's perfect. Please Sun Peaks don't change. 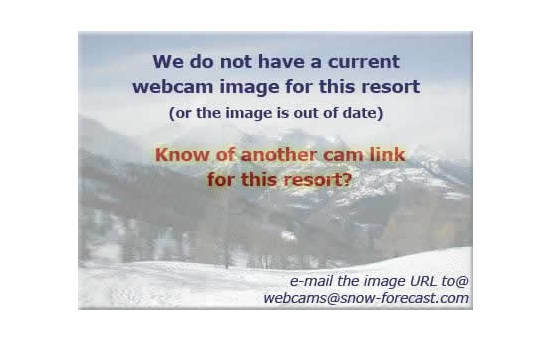 The Sun Peaks skiing weather widget below is available to embed on external websites free of charge. It provides a daily summary of our Sun Peaks snow forecast and current weather conditions. Simply go to the feed configuration page and follow the 3 simple steps to grab the custom html code snippet and paste it into your own site. You can choose the snow forecast elevation (summit, mid-mountain or bottom lift) and metric/imperial units for the snow forecast feed to suit your own website…. Click here to get the code.